SAN DIEGO and OAKLAND, Calif., Sept. 16, 2017/PRNewswire/ -- The most successful energy-efficiency financing program in history just got markedly better as the California Legislature approved a comprehensive consumer protection, underwriting, and regulatory framework for Property Assessed Clean Energy (PACE) and sent it to Governor Jerry Brown's desk. The companion pieces of legislation – AB 1284, co-authored by Assembly Member Matt Dababneh, Senator Nancy Skinner, and Assembly Member Ian Calderon, and SB 242, co-authored by Senator Skinner and Assembly Member Dababneh – are the result of a year of development and negotiations among low-income consumer advocates, environmental and clean-energy groups, the banking industry, and private sector PACE program administrators aimed at improving PACE by strengthening consumer protections. "Consumers, local governments, environmental advocates, small business organizations, the banking industry, and PACE providers all contributed to establishing enforceable standards, underwriting and a regulatory framework to make PACE like other financing products," said JP McNeill, CEO of San Diego-based Renovate America, the nation's largest PACE provider. "Homeowners have shown they want this type of solution. Now the leadership of Senator Skinner and Assemblyman Dababneh has evolved PACE into a long-term viable solution for homeowners, while providing a model for states across the nation to base PACE on income and ability-to-pay, and with a comprehensive suite of consumer protections and enforcement tools." PACE is a California success story that has empowered more than 150,000 homeowners to make energy and efficiency improvements to their properties and pay for them over time via an additional line item on their property taxes. The innovative public-private partnership at the heart of PACE financing is saving homeowners billions of dollars on their utility bills, reducing greenhouse-gas emissions by millions of tons, and creating thousands of clean-energy jobs – at no cost to local-government budgets. "Renew Financial is honored to stand with Assemblyman Dababneh and Senator Skinner, as well as the consumer advocates, business leaders and environmental organizations who worked so hard to strengthen PACE financing for California homeowners," said Cisco DeVries, CEO of Renew Financial and the innovator of PACE financing. "This legislation establishes strong industry standards and a robust regulatory framework that will benefit homeowners uniformly across the state. It will also serve as a national model for states that adopt PACE financing so they can provide homeowners with an effective financing option to make their properties more efficient, comfortable and secure." Establish a licensing and regulatory framework for the PACE industry in California, which will be subject to oversight by the California Department of Business Oversight (DBO). 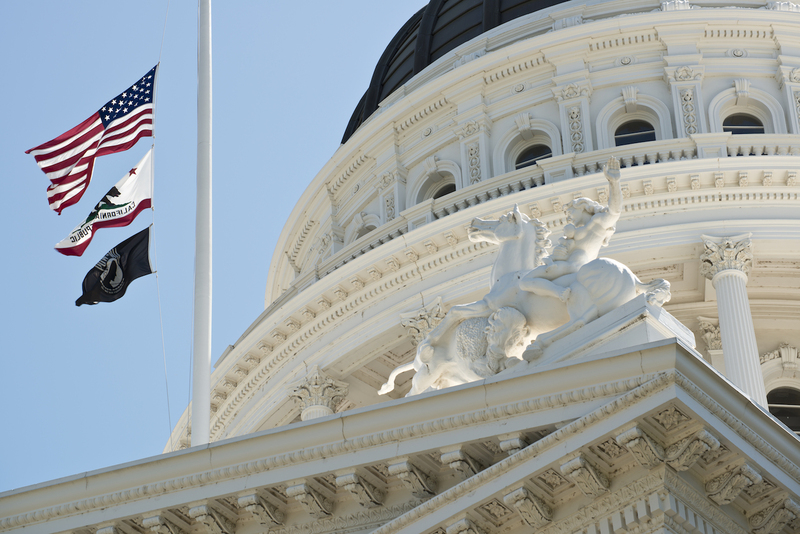 The California Low-Income Consumer Coalition, made up of 11 consumer policy and legal advocacy organizations, worked to improve the legislation and says AB 1284 "introduces protections that have been absent from, and critically needed in, PACE programs." The coalition moved from opposing the legislation to neutral, stating some reservations which the Department of Business Oversight will likely address in its regulatory process. SB 242 would establish state-of-the-art consumer protections, further setting PACE apart from other forms of financing. Chief among these is the requirement that PACE providers conduct a recorded, live, confirmation of terms call with property owner before they sign their assessment contract, as a reinforcement to written disclosures modeled on the federal Know Before You Owe mortgage form. The bill also establishes data reporting requirements to local government partners, including data that speaks to the projected energy and water savings and local economic and job impacts, as well as on categories of products installed and homeowners served. Renew Financial Group LLC ("Renew Financial") is one of the nation's leading home improvement financing companies. Renew Financial administers and provides multiple financing products across the country, with programs available in several states, including Property Assessed Clean Energy (PACE) programs operating in California and Florida. PACE is a financing tool enabled by state and local governments that provides homeowners and business owners with access to private capital to finance the entire cost of renewable energy, energy efficiency, water conservation, seismic, and wind mitigation upgrades, and then pay for those upgrades on their property tax bill. PACE was named by Scientific American as one of the "top 20 ideas that can change the world." PACE is a job-creating policy tool that enjoys broad support, having been championed in state legislatures and local communities nationwide by business leaders, advocacy organizations and elected officials from both sides of the aisle.